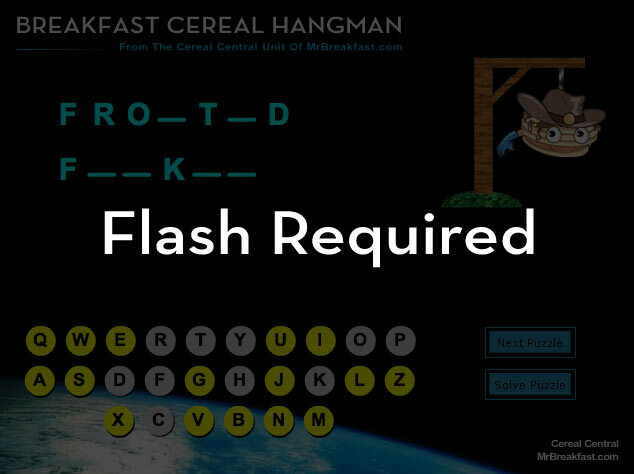 The black spaces (blue lines) in the game below each represent one letter in the name of a breakfast cereal. Select a letter and the game will tell you if it's in the name. If it's not... watch out! Each wrong letter brings you one step closer to hanging an adorable little pancake in a cowbow hat. Good luck! If you liked this game, you're gonna love Cereal Box Match Game. Try it now!